Arlington Insulated grounding bushing in silver color, has die-cast zinc construction. Bushing of trade size 1-Inch, accommodates conductor of size 14 - 4-AWG. It measures 2.364-Inch x 0.575-Inch. 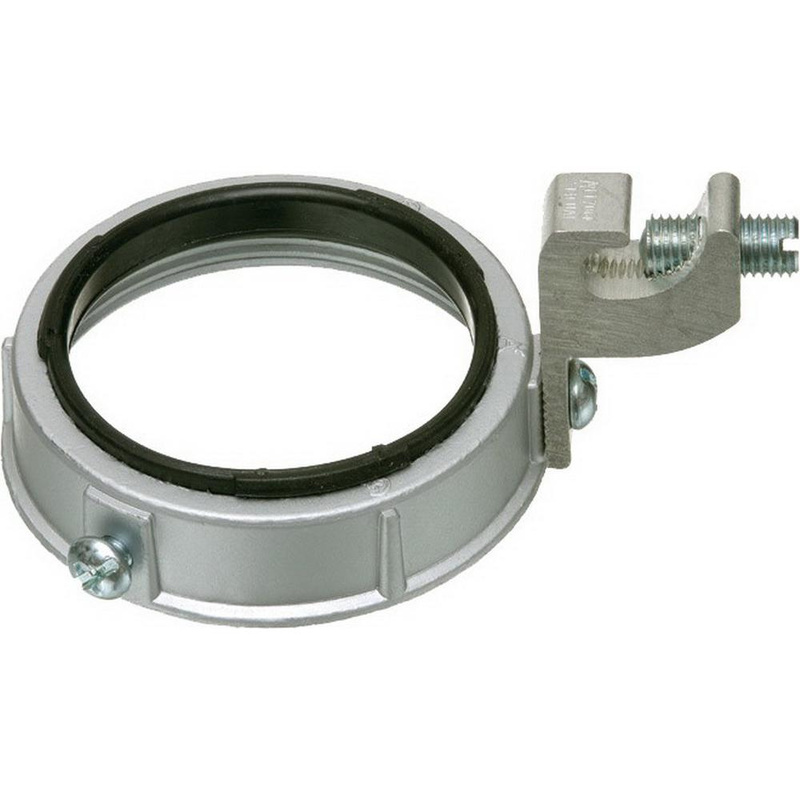 This bushing has C-clamp grounding lug for flexible installation. It withstands temperature of up to 150 deg C. Bushing is UL listed and CSA certified.